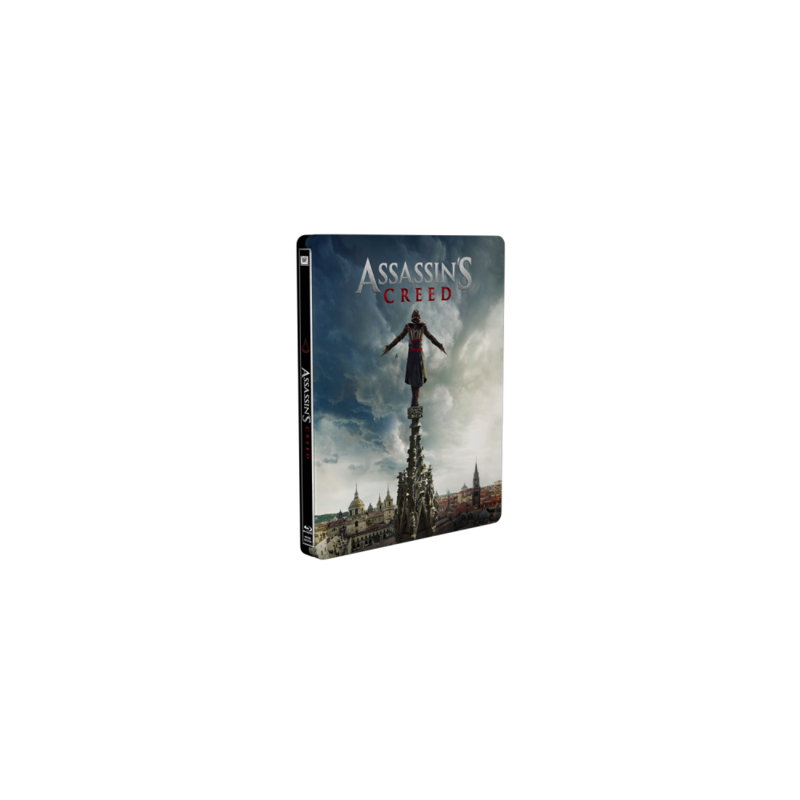 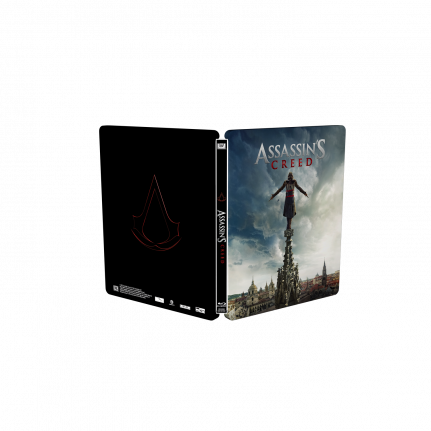 The Assassin’s Creed SteelBook® edition features the main character Callum Lynch on the front in the traditional Assassin’s Creed pose on the top of a very high building. 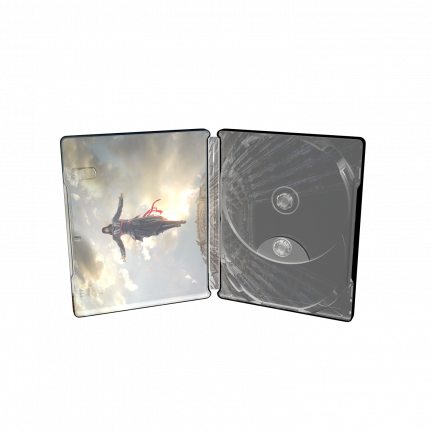 The inside art has him in free fall after having jumped from the building. 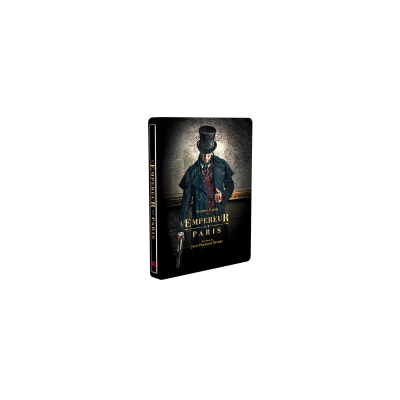 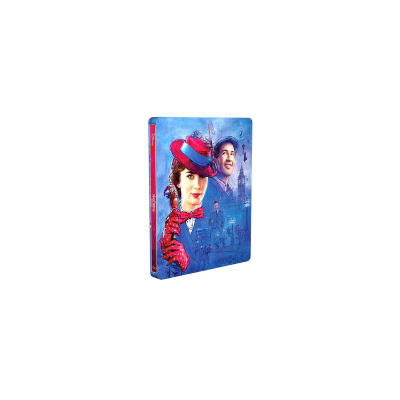 To create a dramatic effect in the artwork, this SteelBook® edition is treated with a spot gloss.